The Loudoun Board of Supervisors has approved plans to construct a data center complex at the intersection of Rt. 28 and Waxpool Road—and on three sides of a cemetery. With the action, Ashburn Nexus is cleared to develop up to 2.85 million square feet of data center and electric substation uses on 65 acres at the southwestern corner of the intersection. The parcel surrounds the Tippets Hill Cemetery, where 113 people are believed to be buried. An archeological firm contracted by the developer found 112 grave markets, including 96 formal markers and 16 field stones. The archaeologists also found what appear to be other, unmarked grave sites. The burials date to 1863, and the cemetery is still in use today. 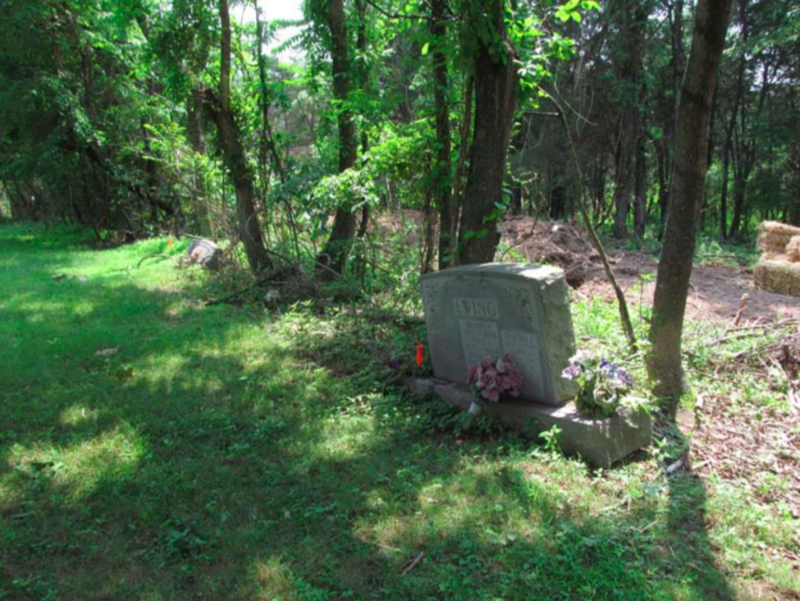 The applicant has agreed to fence off the cemetery during construction, suspend construction during funerals, pave an existing gravel road onto the property from Moran Road, provide four parking spaces, improve pedestrian paths in the cemetery, install a memorial marker describing the history of the cemetery, and remove and replace dead and diseased trees within a 25-foot buffer around the cemetery. The chief concern about the proposal among county planners, who recommended denial of the applications, and some supervisors was the estimated $750,000 that the developer will not be required to pay. The property is subject 20-year-old proffer through a 1998 rezoning when the developer promised to reimburse the county government if someone other than the property’s owners built a segment of nearby Pacific Boulevard. Virginia Department of Transportation completed that work several years ago. The value of that work is estimated at $1.25 million; instead, the developer offered $500,000 for transportation improvements. The new applications also nearly doubles the density of development permitted on the property, increasing the allowable floor-area ration from 0.6 to 1.0. “So if we approve this, we are letting them out of three quarters of a million dollars of a proffer, and proffers are what help us build infrastructure,” Buona said. He nonetheless voted in favor of the application. Supervisor Geary M. Higgins (R-Catoctin), proposed sending the application to the board’s Transportation and Land Use Committee for more discussion about the proffer, but found no support from other supervisors He, too, ultimately voted for the application. 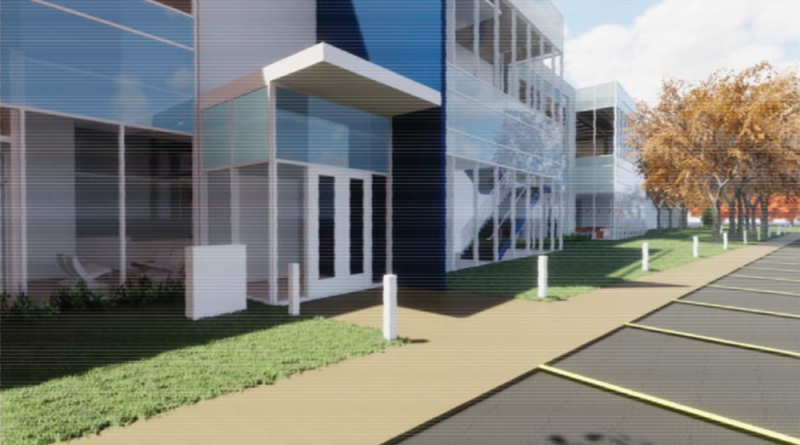 The project’s stronger proponents argued the tax revenue from a data center complex would more than make up for the $750,000 the county is leaving on the table. Supervisor Ron A. Meyer Jr. (R-Broad Run), whose district includes the property, noted that increased tax revenues would likely far exceed the minimum return on investment the county expects when it offers formal incentive packages to new businesses. In the end, the application received unanimous support. I just visited Tippets Hill Cemetery and found the grounds to be in a disgraceful condition. There are no traffic signs directing you to the cemetery from Pacific Blvd. There is no decent road to enter the cemetery from Moran Road, no available parking whatsoever and no proper signage within the cemetery. There is absolutely no maintenance of these grounds with dead or dying trees everywhere nor are there any paved walkways. Headstones have been knocked down, fallen down or strewn about in every direction. One blue plastic garbage pail is filled to the top with rubbish. I am embarrassed that a cemetery in Sterling would be allowed to remain in such an unkempt condition. The burials date to 1863, and the cemetery is still in use today. Is there no county funding to provide minimal grounds keeping for these grave sites?